A warm welcome from the lodge’s master and webmaster to all members and visitors. This website provides information on and occasional posts about lodge affairs. It includes: a calendar including regular meetings and lodges of rehearsal dates for ceremonial work, details of committee meetings, and social events such as our Christmas dinner and festivals. It also includes lists of founder members, past masters and current officers. There are notes on founders and distinguished former members. We provide links to associated schools’ lodges and chapters, and to other masonic websites. A photograph gallery and a ‘contact us’ section complete the pages. We welcome comments and suggestions on the site’s contents and invite submissions from members. Two past masters, WBros Michael Coggles and Simon Greaves are currently revising the lodge history written for the lodge’s centenary, for the 125th anniversary of the lodge’s founding in 2023. Extracts will later be published on these pages. Our origins: in 1798 members if the United Mariners’ Lodge No 23 founded a subscription fund which, later that year, led to the foundation of the Royal Masonic Institution for Boys. The institution was charged with clothing and educating the sons of “distressed and indigent Freemasons” at schools near their own homes. In 1857 the first boys’ school was founded at Wood Green, north London, and in 1902 a purpose-built school opened in Bushey, Hertfordshire. In January 1929 a junior school was added close to the main school. In that year 800 boys were wholly provided for by the craft. After a long and distinguished history, in July 1970 the Royal Masonic Junior School was closed, the buildings and grounds sold to Hertfordshire County Council and reopened as a comprehensive school for 1,000 pupils. On July 12th 1977, the Senior School closed after 120 years, despite a valiant fight by some masons and old boys. 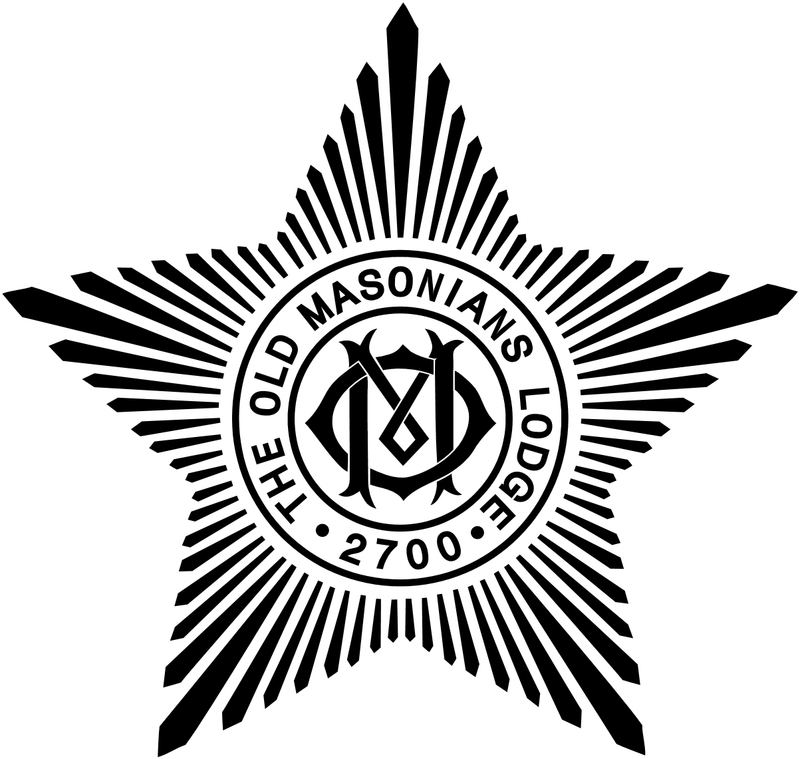 In 1898 The Old Masonians’ Lodge No 2700 was founded as part of the celebrations to mark the centenary year of the institution and daughter lodges followed. Since 1977 old boys have continued to come forward as initiates and joining members and our lodges have welcomed non-old boys with equal enthusiasm. Throughout its long history these lodges have inspired the devotion of members keen to keep alive the spirit and memory of the school, and dedicated to preserving its caring traditions. There is more background on the History and Archives pages and an updated lodge history will be loaded soon. The three graces: the lodge uniquely uses three forms of grace at the festive board which repeat the words read out daily at the school before and after lunch. At the school grace was read by a duty prefect from the raised dias in the dining hall and accompanied by the ringing of the ship’s bell from HMS Renown. For these and all thy mercies given we bless and praise thy name, O Lord. May we receive them with thanksgiving, ever trusting in Thy Word. Past master W Bro John Jarman secured for us an important piece of memorabilia, a specially made breast jewel from 1889 marked for the ‘first initiate’ of the lodge. In addition, the lodge owns a number of silver trophies from the school, now on loan to the museum at Freemasons’ Hall in London and a full set of splendid banners listing all its masters since founding. A toast to the memory of the school without masonic “fire” as a mark of respect is always drunk at festive board dinners. The Dining Hall ship’s bell from the senior boys’ school, now used at the girls’ school in Rickmansworth, was researched by Bro Roger Emmott and W Bro John Jarman. The 1950 Old Masonians’ Gazette reported: “On the afternoon of March 16, the school assembled in the Dining Hall to witness an unusual and interesting ceremony, the unveiling of the bell of HMS Renown, and its presentation to the school. It came as a gift from the Whittington Lodge, having been discovered in a marine dealer’s yard by Bro H. E. Bailey, as was explained by Bro R. A. Easton, the secretary of the lodge, who was accompanied by several other members and their friends. The unveiling was performed by Rear Admiral Sir Charles E. B. Simeon, KBE, who had been in command of the Renown. Prefacing his words with two sharp strokes on the bell, he expressed his pleasure in renewing contact with the old cruiser, the eighth ship of that name — and in a brief outline of her history he told of her long cruises with royalty aboard; how she had worked in conjunction with the Ark Royal when chasing the Graf Spei, and had gone in pursuit of the Gneisenau and Scharnhorst in Arctic waters. In the later years of the war, too, she had played a very noble part in the Mediterranean. He then went on to explain that on board ship the bell did all that a school bell does at school: in short, it was the voice of the ship, and he begged them, whenever they heard the bell, to remember that it was the spirit of an old ship talking to them, and warning all to do their job to the best of their ability. When feeling a bit slack or sloppy, he said, it would be well to remember that. He amused the audience by telling them that the bell was sometimes used on board ship for another purpose, inverted and filled with water for the christening of any of the officers’ children. When Sir Charles Simeon had finished speaking, the Third Sea Lord, Vice-Admiral N. M. Denny, CB, CBE, DSO, presented the school with a large picture of HMS Renown at sea. He explained to the boys how the bell was always rung with a double stroke each time. The Renown he said, always showed a zest for getting on; and it was a zest for life that was the most important attribute any boy could possess. Having that, he would find difficulties were easily surmounted, and by taking an interest in what he was doing and in the world about him no boy should ever get bored. Schooldays were not the happiest days of their life; success and happiness depended on the zest which they showed in the performance of their duties in life. The chairman of the board, VW Bro E. J. Rutter who was present with other members of the board expressed his appreciation of the gift, and his pleasure in listening to the addresses. The headmaster also in a brief speech pointed out that the school had a strong sea tradition — many of our boys being the sons of seamen, and many of them also choose a sailor’s life for their careers, some in the Service and others in the Merchant Navy. The head of the school, M. R. Meihuish, then thanked the Whittington Lodge for the gift, and Sir Chas. Simeon and Vice-Admiral Denny for their addresses. He also expressed gratitude to Mr Scutt, who had so skilfully mounted the bell and put such beautiful work into the fine oak frame on which it hung. He suggested that the bell as it rested in the Dining Hall might inculcate a love of the sea, and certainly a musical note to our meals. At last we have got a start! Can’t wait to see what the history looks like. We do not own the school’s silverware. They are simply held “in our care” on behalf of the RMTGB.